An active field of research, laser optical trapping works to control the movement and position of particles of different sizes and shapes. The ability to move small particles in a precise and controlled manner is important to both basic and applied science. For example, the ability to control the movement of single atoms can be used to realize quantum computing, and the research also contributes to the study of biological specimens and pollutants. Now scientists at Tel Aviv University have harnessed a 2,300-year-old water displacement technology to develop a novel laser beam that traps and moves particles in specific directions. 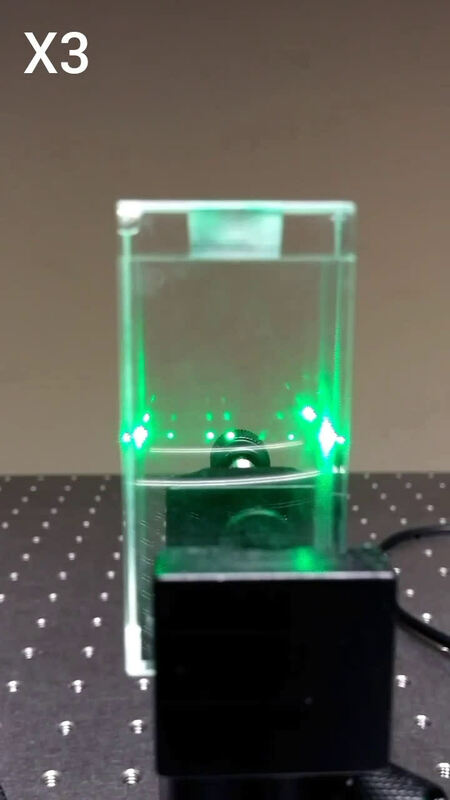 "We have created a light beam that looks and acts like Archimedes' screw," says Dr. Alon Bahabad of the Physical Optics Laboratory at TAU's School of Electrical Engineering. "Instead of traveling in a straight line like regular laser beams, our beam consists of two helical strands, akin to the shape of DNA, and we can use this beam to move very small particles. The rotation of the beam determines the direction in which the particles, whose size ranges between tens of nanometers to about 10 microns, are conveyed." The study, published in the journal Optica, was conducted by Dr. Bahabad's students Barak Hadad, Sahar Froim and Yaniv Eliezer in collaboration with Dr. Yael Roichman at TAU's School of Chemistry and her students Harel Bagar and Tamir Admon. Archimedes, a Greek scientist who lived in the 3rd century B.C., is credited with inventing one of the first effective water pumps: a broad-threaded screw, bent around an axis encased by a cylinder or a tube. "A major challenge in laser optical trapping is how to move particles toward a light source," Dr. Bahabad says. "This is a problem because particles tend to move with the flow of light, or are pushed 'downstream,' so to speak. Our objective was to generate an upstream movement of trapped particles to create a 'tractor beam.' We've done just this by referring to an ancient idea." 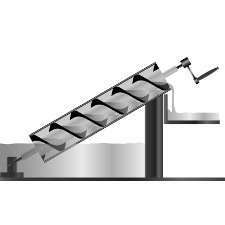 Archimedes demonstrated that the rotation of a mechanical screw displaces water along the axis of the screw, against the pull of gravity. "We have devised an elegant tractor beam based on this simple idea," Dr. Bahabad says. "The movement of trapped particles in our case depends on the rotation of the beam. If you rotate it one way, the particles are pushed downstream. Rotate it the other way, and they are pulled upstream." Dr. Bahabad and his team combined different light beams to create an interference pattern called a standing wave. Such interference patterns are characterized by alternating bright and dark areas. Particles within the beams were trapped by air movement near the particles due to heat deposited by the laser beam. "When the particle is in a bright area of the beam, it gets hot and is pushed away by air molecules toward darker regions," says Dr. Bahabad. "When we rotate the beam, the dark areas move and carry the trapped particles with them. This is how a vending machine that has a screw for moving snacks operates. "We believe our discovery can find uses in biology, materials sciences, spectroscopy or any field that requires monitoring different materials or biological samples."